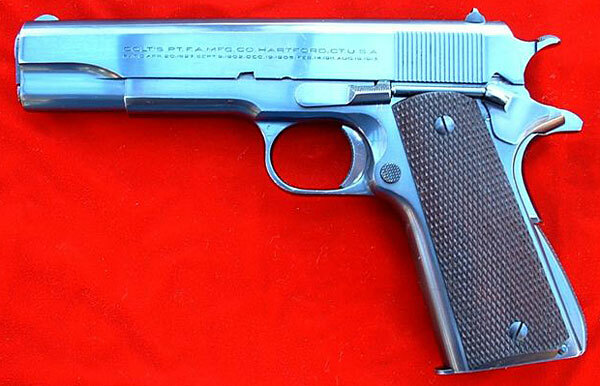 Colt National Match Serial Number C188743 with Swartz Safety and fixed sights, blued finish and checkered walnut grips. 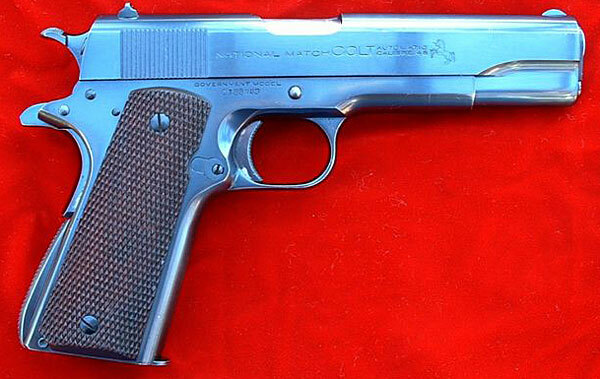 Colt National Match Serial Number C188743 left side. 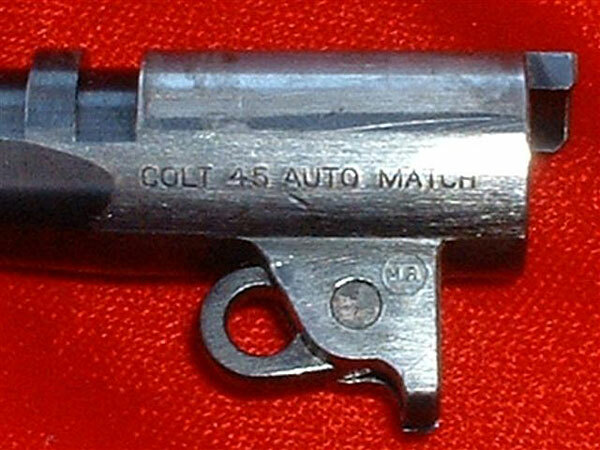 Original National Match barrel marked "COLT 45 AUTO MATCH" with "MB" in a circle on the left barrel lug.